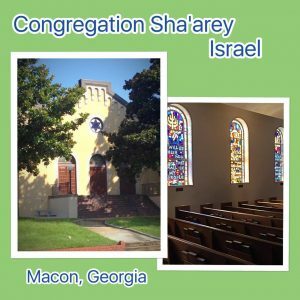 We are an egalitarian synagogue dedicated to the celebration of Conservative Judaism and Jewish Life in Middle Georgia. CSI is a 100+ year-old community which has strengthened over the years because of our dynamic programs and worship services and because of the warm and dedicated families who call CSI home. We are so glad that you are visiting our website and hope that you will come see us in Macon. After all, Congregation Sha’arey Israel is how you say Hamish in Southern! Wall of Jerusalem funds help underwrite major cultural and educational events. Donations are $200, $500 and $1000 depending on the size of the brick. 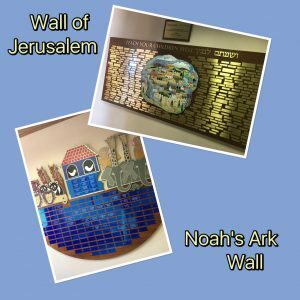 For donations to the Wall of Jerusalem please call Shelley Kruger. Honor the children of CSI with a plaque acknowledging their important milestones and achievements up to age 18. Minimum donation for a plaque is $36.00 and $250.00 for adopting an animal. These donations make a great newborn baby gift, Bar/Bat mitzvah, graduation gifts or special recognition of a CSI member’s child. Monies generated from the plaques on this wall go to the Dr. Pierce Annes Educational Resource Fund. The April 2019 Web Bulletin can be found here. We want to let you know that Ian Altman’s CSI Benefit Concert scheduled for March 3, 2019 has been postponed at this time.